No black for this outfit post. 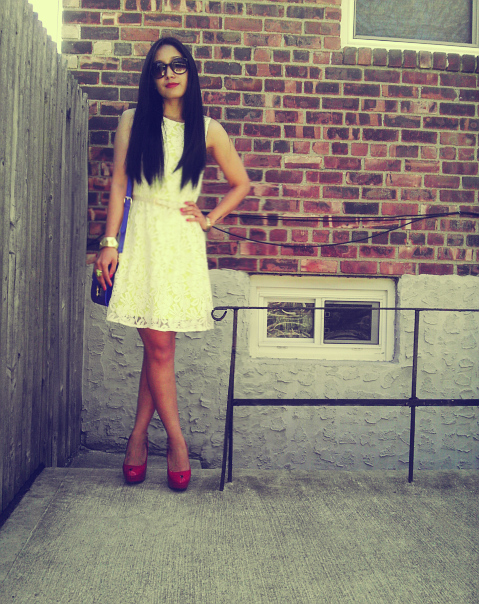 Keeping in mind the beautiful New York weather lately, I decided to wear a dress. It is a white lace dress with neon green lining underneath. The neon green lining gives the dress a little life - it makes the dress interesting. 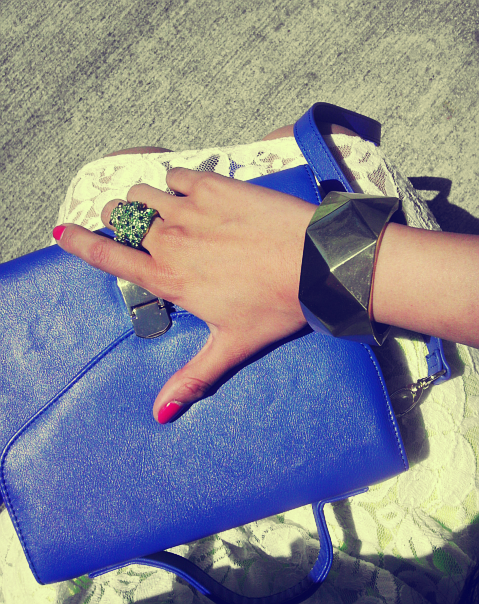 I added a blue bag and red high heels for extra pop of color. Hope you guys have a colorful spring. Me encanta el look, perfecto! love that classy dress, and the pop of color of bag and shoes is gorgeous! Vikee, you look like a doll! Love the dress, isn't TJ Maxx awesome!? Wow.... 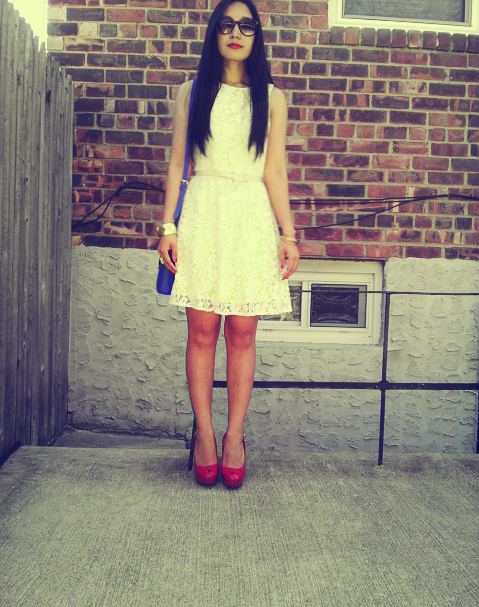 I love your Lace dress and the touch of color with acessories!!!! this girly and elegant style suits you so so well! I loved this look! I am in love with that dress. You look so cute wearing this outfit :) So pretty! I have a project that I am just now working on, and I am sure this will help me a lot and I have been looking for such information since from few days, Thanks! This is so cool.Even I love to team up bold hued accessories with more neutral toned outfits like white, black,grey. I love the post:) Have a wonderful weekend! Awesome dress! The tattoo is really cute too! Love this spring look, nice bag! follow me at gfc and bloglovin? LOVE that bag with the shoes! You look so good! I love the white dress and ofcourse the cute bag! this is a nice version. Still chic and still You. I did not start my blog to tell people what to wear or what not to wear. My blog is simply chronicling what i wear day to day. I am by no means a fashion expert and I tend to make major fashion mistakes sometimes. But I wear what I want and what I am comfortable in. Enjoy!